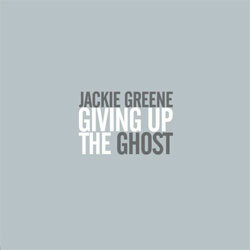 Jackie Greene's new album‚ Giving Up The Ghost‚ is another definite progression‚ the likes of which he's enacted at every step of his career. His role in co-producing this album with Los Lobos' Steve Berlin (who also worked on his last album‚ 2006's American Myth) raises Greene's stature as a recording artist as well as further documenting his growth as a musician. Greene sounds healthily skeptical of himself. Especially on "Shaken‚" his modesty becomes a character trait that only elevates his credibility. His overall mindset might best be described as a joyful fatalism-and if that sounds like a paradox‚ it is. But on songs like "I Don't Live in a Dream‚" Jackie resolves the paradox with a resolute poise‚ the likes of which he's been displaying with Phil Lesh and Friends since last summer. As he does when commanding the stage‚ on this album he's playing all manner of guitars‚ harp and keyboards‚ as well as singing with no small amount of soul and plenty of panache. The waif image of Greene suggested in some (but not all-dig the shades!) of these liner photos is undercut by the maturity he displays. "When You Return" is an ode to willful inertia that he transforms from an acoustic folk song into a thing of grandeur with its cascading guitars and vocal chorale. As with so many moments on this album-like the abrupt ending of "Ghosts of Promised Lands"-it's a work of poetry where members of Jackie's road band‚ including drummer Bruce Spencer and electric guitarist Nathan Dale‚ interact fluidly with Lesh and new friend multi-instrumentalist Larry Campbell. In the best moments here‚ such as the braggadocio of "Follow You" or the pure charm of "Another Love Gone Bad" (with Lobos' David Hidalgo on accordion)‚ ambiguity becomes a tool in the hands of Jackie Greene‚ an increasingly skilled and versatile artist to whom enlightenment sounds to be as reasonable an ambition as making it through another day. Blog: New video for Beck's "Timebomb"
Blog: Song of the Day: Ron Carter - "Uptown Conversation"